Ina Hawkins was born on 19 July 1868 in Salem, Illinois. In 1887 she came to Kansas with her parents, Newt and Sarah Hawkins. The family came first to Haskell County and later to Raymond. On 28 February 1888 Ina married Aaron M. Herbold. [Aaron Herbold was born on 2 July 1862 in Delaware Co, Indiana.] Together they had eight children, one of whom died in infancy. The couple moved to Great Bend, Kansas in 1906 and resided there the rest of their lives. Aaron died on 14 December 1924. Ina followed him just a few years later at 9 o’clock in the evening of 13 November 1946 at her home, 809 Hubbard, at the age of 78. [Ina Hawkins Herbold, “Find a Grave,” accessed 26 October 2014, http://www.findagrave.com/cgi-bin/fg.cgi?page=gr&GRid=18578984 .] She had not been ill prior to her death. She and her granddaughter had shopped and visited with friends uptown in the afternoon the day of her death. Barbara Jane Herbold was born on 18 April 1889. She married (1st) on 3 January 1907 to Joseph A. Forbes (1881-1948). The pair had one child, Ella J. Forbes. [Ella Forbes was born on 3 August 1908 and died on 8 July 1916.] Barbara married (2nd) David L. Clark on 12 March 1952. [David Clark was born on 7 April 1870 in Indiana. The two married in Great Bend, Barton, Kansas.] Barbara died on 13 March 1969 in Great Bend, Barton, Kansas, and is buried there with her first husband in Great Bend Cemetery. Ella Elsie Herbold was born on 30 April 1891. She married George Martin Weitrick on 4 July 1909. [George Weitrick was born on 14 April 1877 in Missouri.] George died on 10 February 1950 and Ella died on 27 March 1975 in Amarillo, Potter County, Texas. They are buried there in Riverside Cemetery. Venice E. Wietrick was born on 7 June 1910 in Kansas. In about 1933 he married Gladys Trant (1904-1975), a divorcee with three daughters, but they separated before 1940. Venice died on 2 June 1952 in Los Angeles County, California, and is buried in Riverside Cemetery in Prowers County, Colorado. Vivian E. Wietrick was born on 26 August 1911 in Kansas. On 6 September 1931 she married Goerge Mackey. [Vivian Wietrick was born on 10 August 1872.] 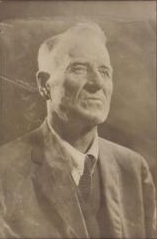 The two had a son in 1933, Raymond Mackey. [Raymond Mackey was born on 20 December 1933 in Colorado and died in July of 1980. Per Social Security records, no death place given, but a number was issued in Michigan and the last benefit was sent to Washington, D.C.] George died on 5 November 1937 in Kansas. As of the 1940 census, Vivian and her son were living in Greeley, Colorado. On 26 June 1943 in Ionia County, Michigan, she married second to John Spoelman (1913-1989) as his second wife and they lived together in Grand Rapids, Michigan, through 1952. At some date afterwards she married Mr. Legra. She died in Charlevoix County, Michigan, on 8 October 1997. Gladys M. Wietrick was born on 16 May 1915 in Lamar, Colorado. She married (1st) Russell Nelson (1911-1953) and they had three children, listed below. Gladys married (2nd) Clarence “Pete” Metts. Gladys moved to Hugoton, Kansas in 1950 and was a hairdresser for 55 years at the Kut N Kurl, which she owned. She was also a member of the Hugoton Women’s VFW Auxiliary and Hugoton Baptist Church. She enjoyed shopping and dancing and was active at the Senior Dances. Gladys married (3rd) George McNemer in 1991 in Hugoton. She died on 22 June 2008 and is buried at Valley View Cemetery in Garden City, Kansas. Annette Nelson was born on 18 August 1936 in Atchison, Kansas. Annette married (1st) to Carl Warner Eisenbise of Wichita, Kansas and together they had three daughters, listed below. Annette married (2nd) to James Larson of Wichita, Kansas in around 1964 but had no more children. Ann Kristin Eisenbise was born on 19 April 1958. She had a son, Tristan Caddell, born on 28 March 1997. Sarah Beth Eisenbise was born in September of 1959 and died on 1 January 1960. She is buried in same cemetery as Gladys and Russell in Garden City, Kansas. Gretchen Eisenbise was born on 6 February 1961. Darlene Louise Nelson was born on 12 August 1938 and married Richard Harris. Louise died on 17 July 2008 in Hugoton, Kansas. Together she and Richard had three children, listed below. Richard Gentry Harris was born in September of 1957. Heather Harris was born on 3 June 1959. Heather lives in Oklahoma and has a son. Wendy Harris was born on 14 February 1961. Kenneth Nelson resided in Vancouver, Washington. He had two children, Chad and Anastasia Nelson. Marvin Woodrow Wietrick was born on 17 December 1917 in Lamar, Colorado. In about 1939 he married Larena Evelyn â€œLa Renaâ€ Watts (1921-1996). They were living in Denver, Colorado in 1940 and 1947. Marvin died on 11 February 1978 and La Rena died years later on 17 July 1996, both in Los Angeles, California. 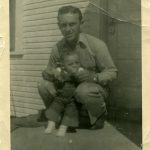 Glen Orville Wietrick was born on 6 April 1919 in Lamar, Colorado. He served in the U.S. Navy during World War II. He married Maxine Dawson (1926-2008). Glen died on 7 June 2006 in Denver and Maxine died on 17 November 2008 in Arvada, Colorado. They are buried together at Fort Logan National Cemetery in Denver, Colorado. An infant was born on 4 July 1921 and died shortly thereafter. Nora Belle Wietrick was born 1 July 1924 in Lamar, Prowers County, Colorado. She married Henry Peter Meyer (1925-1997) in about 1946. She died on 4 November 1998 in Las Animas, Bent County, Colorado. They are buried together in Riverside Cemetery in Prowers County. Lucille Evelyn Wietrick was born on 26 June 1926 in Lamar, Prowers County, Colorado. She married Mr. Powers and was living in Pueblo, Colorado, in 1993. She died on 23 November 2009 in Las Vegas, Nevada, and is buried on Fairmount Cemetery in Prowers County. 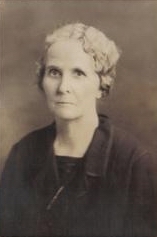 Dola C. Herbold was born on 21 October 1892 and died a month later on 21 November 1892. 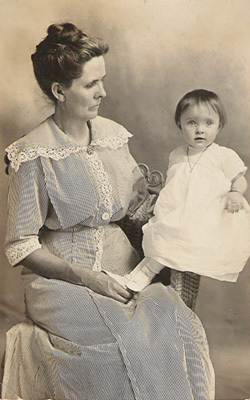 Winnifred Christina Herbold was born on 22 January 1894 in Rice County, Kansas. On 20 August 1911 she married (1st) Frank Newell Hunting. [Frank Hunting was born 19 October 1883 in Kansas.] Together they had one child, Ina, listed below. They later divorced. [Frank Hunting died on 10 September 1961 in Placer County, California.] Winnifred married (2nd) George H. Wilkerson on 10 June 1916. [George Henry Wilkerson was born on 20 November 1884 in Kansas and died on 8 September 1944 in Great Bend, Kansas.] Winnifred died on 14 August 1973 in Great Bend, Kansas where she had lived most of her adult life. Ina Cleone Hunting was born on 1 October 1912 in Kansas. On 18 August 1929 she married Arnold Raymond “Ray” Blankenship. [Ray Blankenship was born on 21 July 1906 in Benton County, Arkansas.] They had three sons, listed below, and later divorced. [Ray Blankenship died on 3 June 1991 in Clovis, Fresno County, California.] Ina died on 26 December 1989 in Atchison County, Kansas. Raymond Bliss Blankenship was born on 25 February 1933 in Great Bend, Kansas. 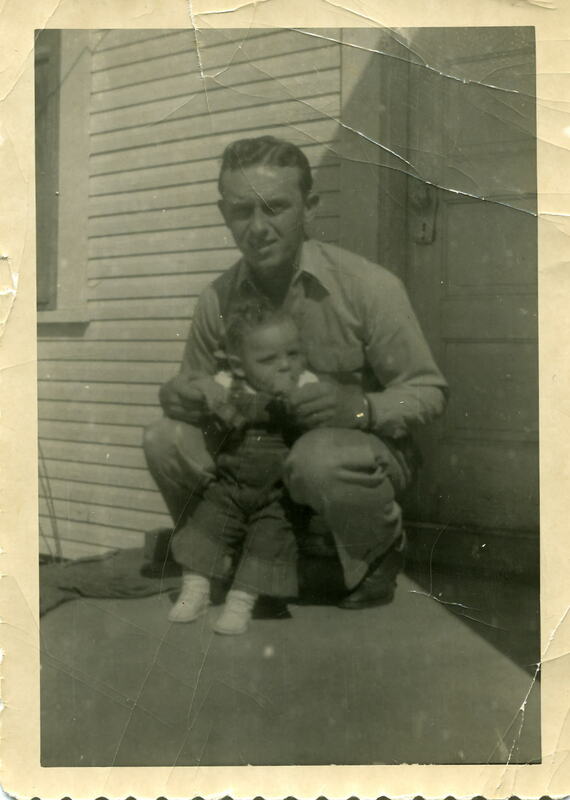 Raymond died on 8 January 1952 in Great Bend in an automobile accident. His obituary mentions that his mother was living at home, while his father was living in a hotel, likely indicating that the couple had separated recently. Monte Gene Blankenship was born on 5 August 1941 in Great Bend, Kansas. He married Juana M. Reyna on 9 February 1976 in Ochiltree County, Texas, and they divorced there on 1 April 1985. She is possibly the mother of his four children, probably all born in Great Bend: a daughter Michelle (whose last name was Seck in his obit), and sons Adam, Conan, and Monte Jr. Monte died on 4 October 2008 in Perryton, Texas. Robert Kent “Bobby” Blankenship was born on 15 August 1942 in Great Bend, Kansas. He had been married to an unknown wife and had four children, probably all born in Atchison County, Kansas: a daughter Karen (whose last name was Fakhir in his obituary), and sons Allen, Kent, and Tyson. 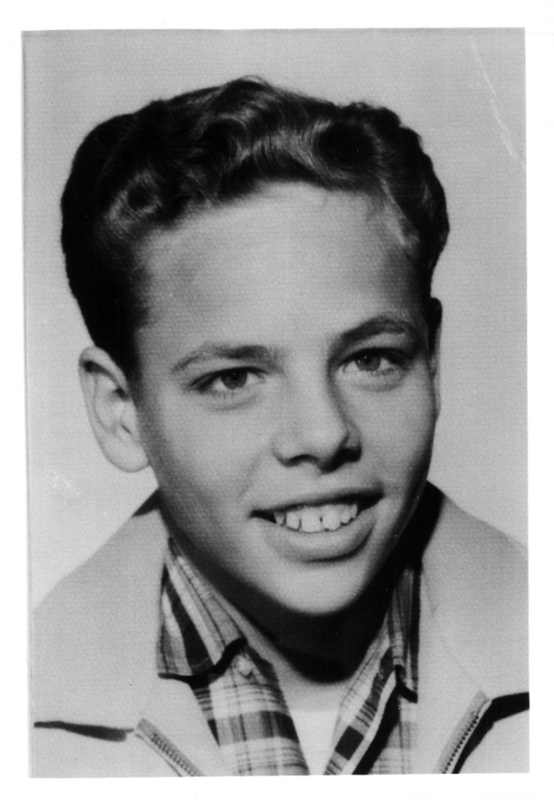 Bobby died on 16 April 2002 in Chickasaw County, Mississippi. Edith Lorena Herbold was born on 15 August 1895 in Raymond. She moved to Great Bend in 1905 and lived there the remainder of her life. She married Paul Weathers on 19 July 1914. Edith worked as a secretary for Western Power and later as a Schuefler Supply employee. Additionally, she was a member of the Harmony Club in Great Bend. Paul died on 23 May 1973 and Edith died years later on 28 November 1984 at Central Kansas Medical Center, after a long illness. Both are buried at the Great Bend Cemetery in Kansas. 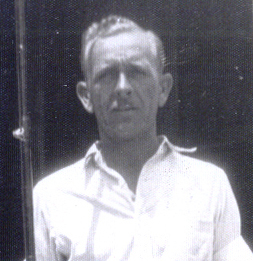 Jack Aaron Weathers was born on 18 April 1915 in Barton County, Kansas. He was a Staff Sergeant in the U.S. Army Air Corps during World War II and lived for part of his life in Burlington, Iowa. Jack died on 7 August 2003 in Mission, Texas and is buried in Oakland Cemetery in Lee County, Iowa. Margaret F. Weathers was born on 24 October 1917 in Barton County, Kansas. She married first in 1946 to Mr. Barnes and second in about 1950 to Theodore George Weesner. [Theodore Weesner was born on 31 July 1901 in Kansas and died on 5 October 1998 in Mission, Hidalgo County, Texas.] He enlisted in the U.S. Army Air Corps at Pueblo, Colorado on 9 October 1942 and he was divorced with dependents at that time. Margaret died on 26 June 2001 in McAllen, Hidalgo County, Texas. Winton Kent Weathers was born on 17 December 1920 in Barton County, Kansas. He married Winifred Ellen Watson on 28 May 1949 in Sedgwick County, Kansas. [Winifred Watson was born on 27 September 1930 in Polk County, Arkansas.] They had four children, all living at the time of her death: son Gary, and daughters Jean, Laura, and Mary Edith. Winton died on 6 May 1988 and Winifred died on 8 November 2000, both in Saline County, Kansas. Paul Orville Herbold was born on 13 February 1897. He married Ethel Hunt on 20 October 1917 and was working as a brick layer in Anaheim, California according to the 1924 and 1925 city directories. Paul died on 19 September 1962 in Tacoma, Washington and is buried in Sunnylane Cemetery in Del City, Oklahoma. Clyde Laverne Herbold was born on 28 April 1919 in Great Bend, Kansas. He married Alpha Maxine Rauhoff. [She was born on 27 June 1921.] Clyde was a Chief Master Sergeant in the U.S. Air Force from February 1936 to May 1964. He died on 7 March 1987 in Panama City, Florida. Alpha followed on 25 June 2002. They are buried there in Forest Lawn Memorial Cemetery. Barbara Lee Herbold was born on 30 April 1926 in Orange County, California. She married married (1st) to Leon M. Grant (1921-1947), a soldier from Idaho, on 10 September 1944 in Pierce County, Washington. She married (2nd) to Peter Connacher (1914-1979), a former prisoner of war and survivor of the â€œBataan Death March,â€ on 31 December 1947 in Spokane County, Washington. She married (3rd) to Raymond Lee Morris (1924-2008) on 21 October 1952 in Pierce County. They may have had three sons together. Barbara died on 11 April 1998 in Mission, Texas, and is buried at Fort Sam Houston National Cemetery in San Antonio, Texas. James Eldon Herbold (“Jimmie”) was born on 21 February 1928 in Fallbrook, California. Jimmie served in the Marine Corps from 1951 until retiring in 1971 as a master sergeant. He and his wife, Margaret Andrews (1948-2005), had been residents of Kitsap County, Washington, for four years upon his death on 17 April 2000. [Margaret Andrew was previously married (1st) to Mr. Swindel about 1967, (2nd) to Mr. Bayless about 1982, and married James (3rd) in about 1991, so she may not be the mother of his children.] He had three sons: Matthew of Tacoma, and Greg Rayes and Daniel Herbold, both of Vashon. Jimmie is buried at Tahoma National Cemetery in Washington. Lewis Gene Herbold was born as a twin on 7 July 1933 in Hutchison, Reno County, Kansas. On 6 November 1958 in King County, Washington, he married Lorraine Marion Smith (1917-2007), who had previously married (1st) to Walter Lind (1913-1981) in 1938 and (2nd) to John R. Yerran (1909-1956), a WWII veteran, in about 1948. Lewis and Lorraine were married for nearly fifty years before her death on 30 April 2007. Lewis died on 12 June 2007 after a long illness. They are buried in New Tacoma Cemetery in Pierce County, Washington. Lois Jane Herbold was born as a twin on 7 July 1933 in Hutchinson, Reno County, Kansas. She died as a teenager on 1 September 1947 in Tacoma, Washington, and is buried in New Tacoma Cemetery in Pierce County, Washington. Beulah Orissa Herbold was born on 30 September 1899 in Rice County, Kansas. On 15 October 1914 she married (1st) George Blakeslee and they divorced in about 1923. She married (2nd) to a Mr. Simmons before April 1930, when she was already living apart from her second husband. By April 1940 she was divorced from Mr. Simmons and married (3rd) to Benjamin S. “Ben” Eicher. [Ben Eicher was born on 30 October 1894 in Keokuk County, Iowa.] Ben died on 13 April 1975 and Beulah died in November of 1984, both in Wichita, Kansas. They are buried there in the Mission Chapel Mausoleum. Wathena E. Blakeslee was born on 25 August 1917 in Stafford County, Kansas. She died in May of 1984 in Wichita, Kansas and is buried in the Mission Chapel Mausoleum in Sedgwick County, Kansas. De La Vergne Herbold was born on 20 November 1902 in Zion, Lake County, Illinois. He married Bernice Everett on 26 May 1922. He was working as a brick layer in Anaheim, Orange County, California, per the 1932 city directory. De La Vergne died on 27 August 1970 in Great Bend, Kansas. He and his wife are buried in Great Bend Cemetery in Barton Co., Kansas. Peggy Lea Herbold was born on 23 November 1924. George William Herbold was born on 16 February 1927 in Barton Co., Kansas. In about 1945 he married (1st) to Leona Joyce Horine. [Leona Horine was born on 5 December 1929 and died on 31 May 1958, all in Barton Co, Kansas.] They had two children, Jay and Gayle, listed below. Leona died on 31 May 1958 and a couple years later, in about 1960, George married (2nd) Joan Marie House. [Joan House was born on 21 January 1934 in Missouri and died on 20 September 2009 in Jasper Co., Missouri with a married name of Norcross.] They had two children, Gene and George, listed below. 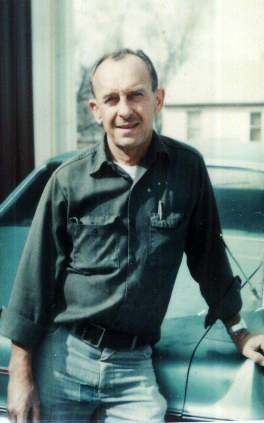 George Sr. died on 20 April 1994 in Great Bend, Kansas and is buried there in Great Bend Cemetery. 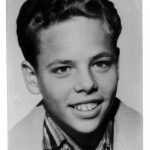 Jay Dee Herbold was born on 23 July 1946 to George and Leona Herbold. He died on 14 July 1962 in Barton County, Kansas. Gayle Elaine Herbold was born in about 1956 to George and Leona Herbold in Barton County, Kansas. Gene Herbold was born in about 1962 to George and Joan Herbold in Barton County, Kansas. 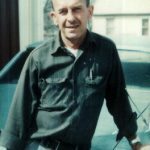 George William Herbold, Jr. was stillborn to George and Joan Herbold on 8 March 1965 in Barton County, Kansas.